I didn’t think about making this tutorial about threading a needle before because it’s kind of routine for me – I do it every day and don’t even think about it, it seems so simple. I can compare it with brushing teeth – we know it’s important but we don’t publish tutorials telling people how to do it because we consider everybody already knows it, right? So I was really surprised to see that this phrase “How to thread a needle” gets 6600 searches per month in Google! It means that people simply find it tricky and need tips to avoid frustration or improve their sewing experience. Here we go – learn easy ways to thread a needle on a sewing machine and a serger. In this tutorial, I will show you some tricks on how to thread a needle for hand sewing and embroidery and how to tie a knot. 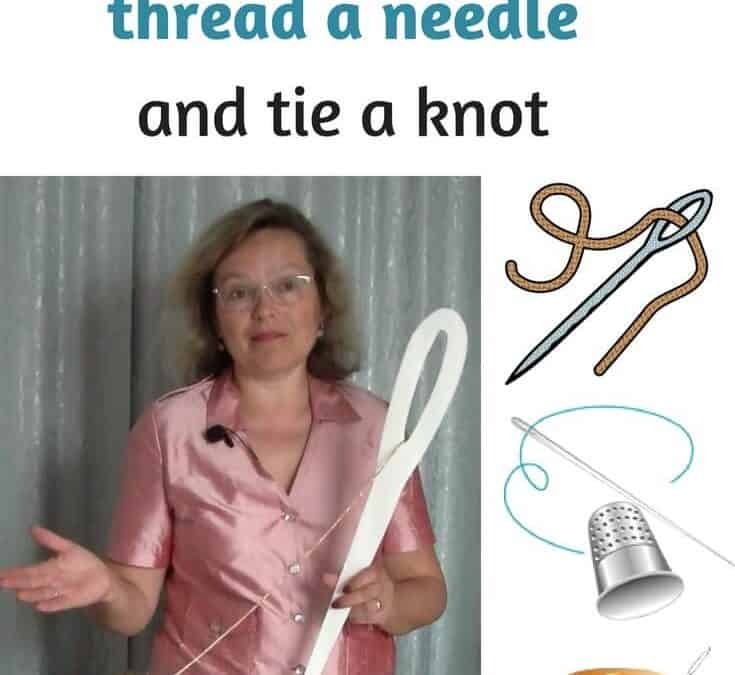 It will be useful not only for people who are just learning to sew and don’t yet know how to thread a needle but also for people who are experienced in sewing and learned to thread a needle 30 years ago. It seems so easy to thread a needle. You just push the thread right through the needle’s eye and that’s it. Yet you have to do it so often and it is so frustrating at times that many people, not only me, have come up with tricks, tools, and tips that help in the process.